Chamber takes home 1st and 2nd place trophies. Throughout the month of March, Colonial Forge Choral Division traveled throughout Virginia and performed pieces that they’ve practiced since the beginning of 2019. On March 12, Stafford High School hosted this year’s choral assessments for Stafford County. All Colonial Forge Choirs received superiors, including our chamber choir, maintaining Colonial Forge’s blue ribbon status. On March 14 the auditioned choirs, Ladies Chorale, Madrigals, and Chamber, traveled to Hanover High School to compete in the annual Hanover/Lee Davis Festival of Choirs. Colonial Forge participated in three of the five divisions, including Jazz, Concert Choir, and Women’s Chamber. Three judges score all the choirs in three categories Tone, Technique, and Interpretation and Presentation with a possible score of 200. 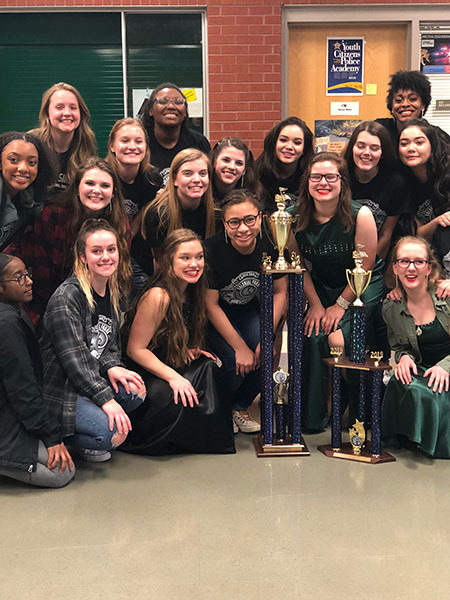 After seven months of rehearsing five-part harmonies and high kicks, Encore, the Mixed Jazz Choir, was ready to travel and compete against Virginia’s best performers. Their show, “Bewitched,” arranged by Barbara Perry and choreographed by Margaret Howe, features pieces “Magic,” “People Are Strange,” “Bewitched,” “Every Little Thing She Does Is Magic,” and “Orange Colored Sky. 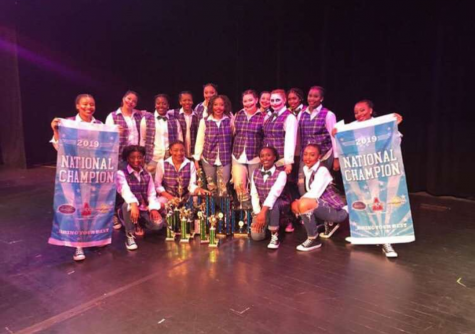 ” After taking a hiatus since 2014, Encore returned to the Mixed Show Choir Competitions held in Manchester and Hanover, Virginia, accompanied by the Colonial Forge Jazz Band, directed by Mr. Gillette. On March 9, Encore attended their first competition at Manchester High School. Although they didn’t receive any awards as a whole, two students, Chancellor Stephens (‘19) and Kayliah Hunt-Kendrix (‘20) were awarded showmanship awards for their outstanding performances among their group. On March 16, Encore attended Hanover High School’s Festival of Choirs with big hair and high hopes. In the B division, Encore won second place with an average score of 156.8. While they placed second for overall performance, Encore won best voice quality and best crew, while the Jazz Band won best band. Performers Sam Clark (‘19) and Emily Houtz (‘19) stood out with their impressive skills, winning showmanship awards from the competition.